If you own a TVR you'll want the best for it – and that means the best in TVR service - Racing Green TVR. 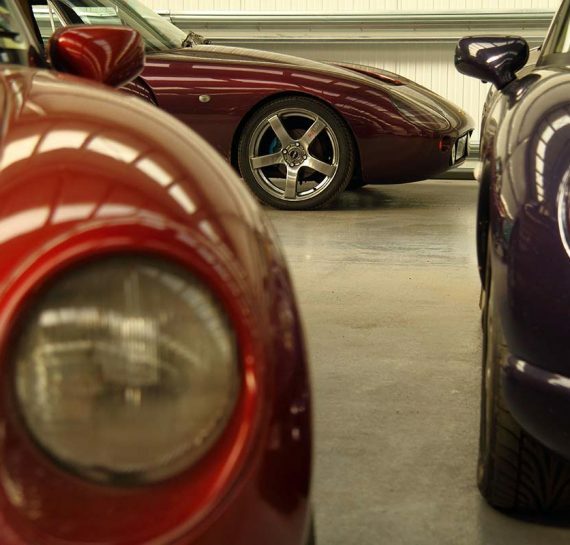 From a routine service to a complete rebuild, we have the facilities to keep your TVR in peak condition. 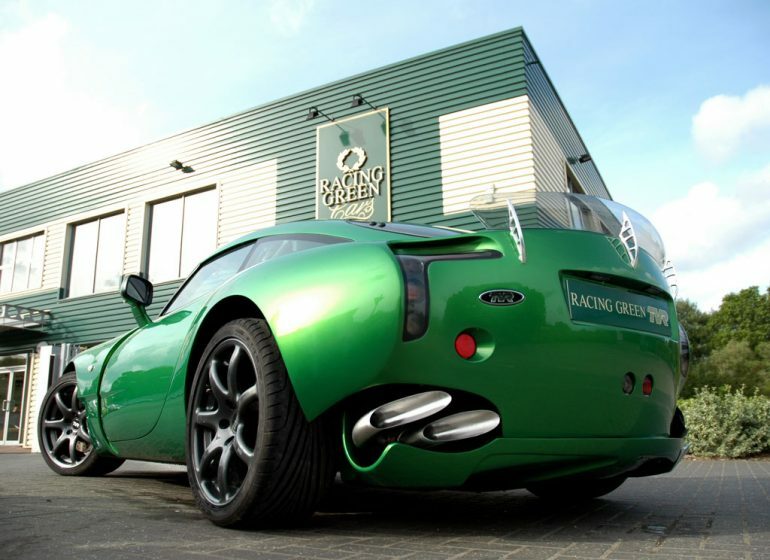 Racing Green Cars is an approved TVR Heritage and Performance Dealer, and in our modern workshops, our trained and experienced TVR engineers will discuss your car in detail and any concerns you may have. Racing Green TVR's ongoing development program now allows numerous upgrades to be made to your TVR. From the awesome FFF cylinder head through Syvecs and Omex engine management systems for both the Speed 6 and V8 engines, Quaife differentials and the fabulous new AST shock absorbers we can deliver the power, management and road holding that makes the difference. We have a fixed tariff for all routine service work carried out on the modern TVR range and if anything out of the ordinary occurs, we will let you know before we spend your money. We can also provide you with a courtesy car whilst yours is off the road, if required. All our engineers are very familiar with the TVR range and will be very happy to discuss the options with you, so that you can always get the most driving pleasure out of your car. We're more than happy to show you how we approach bodywork and the results achieved. 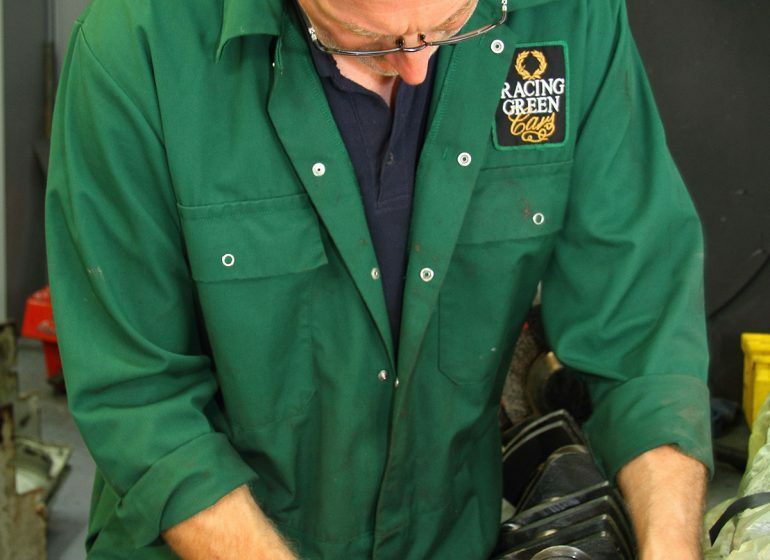 Racing Green has a TVR Factory Approved bodyshop which specialises in the repair of crash damage to composite structures which are fundamental to the integrity of the TVR bodyshell. 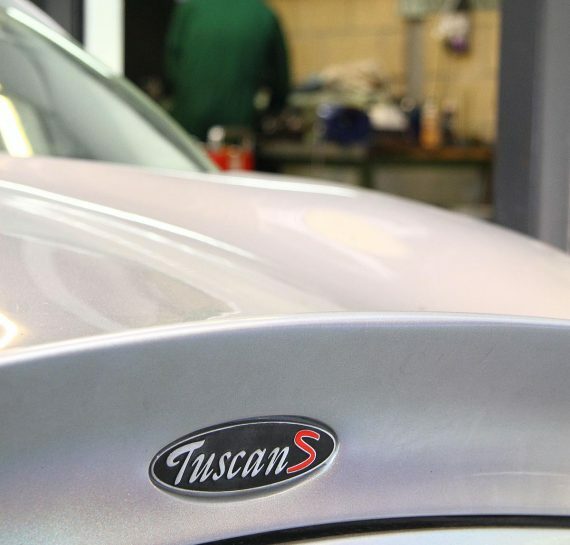 Suitable for all makes of cars, but specialising in the TVR sports cars, we employ experts in bodywork and spraying using modern high-tech systems. 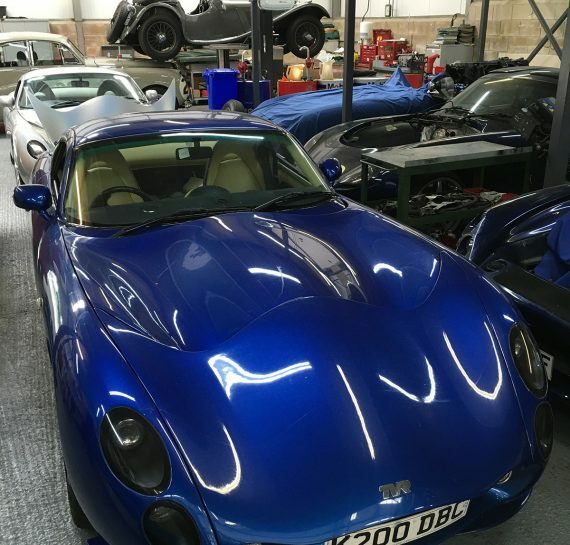 From serious crash repairs, when we work with your insurance company, to simple cosmetic tidying up, you will find our TVR- bodyshop easy to talk to, quick to understand your needs and very good at giving your car a fantastic finish. Please contact us on 01420 511118 should you require further help. 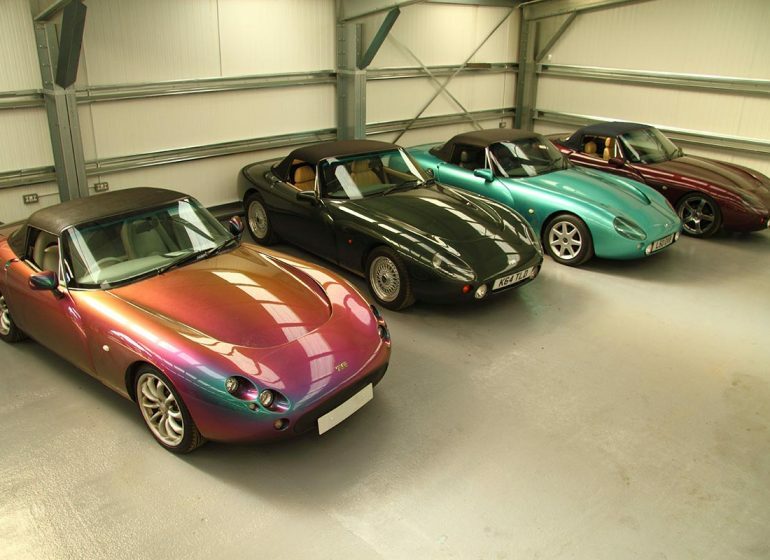 From a TVR Chimaera to the latest Tuscan convertible, we can help you personalise your car so that it becomes unique. You may just want a little bit of retrimming to put your stamp on the car's interior or tidying up a few loose ends on an older TVR, or you may be looking for a complete retrim. Whatever you want, we can offer a bespoke trimming service offering you a choice of leathers to suit your special requirements and budget. Sometimes, even a little bit of tweaking of the interior can transform your TVR – and it needn't be expensive! 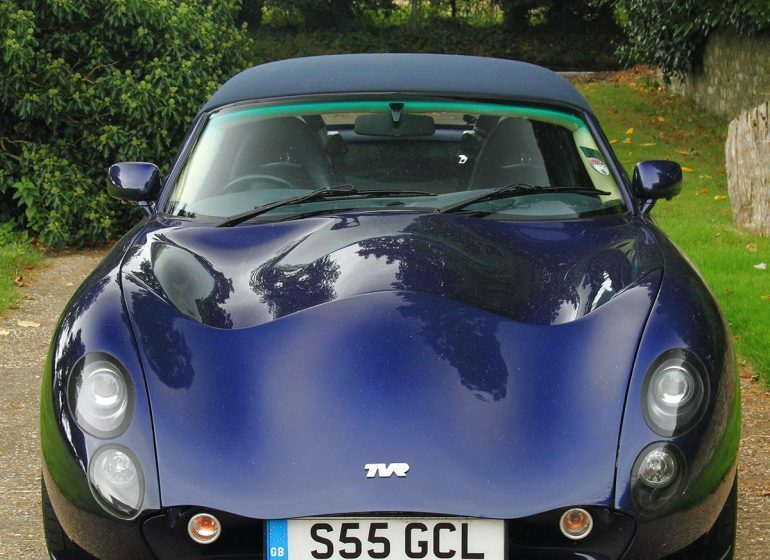 As enthusiasts of TVR racing, we have competed in the TVR Tuscan Challenge with our own car driven by Phil Keen. This was fully prepared in our own workshops with all the work being done by our own engineers. 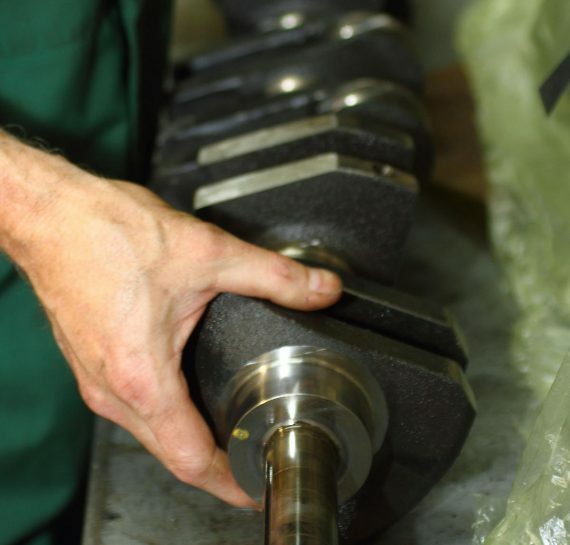 All the race development work from the ground up is handled in-house and we handle all aspects of mechanical and body work needed to keep a car in front. You may not want to go racing, but if you drive a new or used TVR the chances are that you will want to take it on track days! In which case, see us first! We'll set up the car so that you can have a safe but stunning day out pushing your TVR to its limits. And we'll even help you with driver training if you want it!